EXTERMINATION AFTERMATH! A Death in the Family! 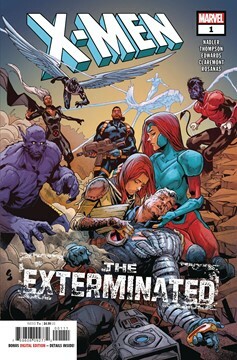 In the aftermath of Extermination, the X-Men mourn for their fallen brother, Cable. But no one is taking it harder than his adopted daughter, Hope Summers. Will Hope be able to cope with the loss, or will she be led down a dark path that she won't be able to return from? Only Jean Grey can save Hope from herself! Plus, celebrate the life of Nathan Summers with a story from his past by Chris Claremont! Rated T+.